I made some crepes the other day, and I immediately knew what I wanted to fill them with: chocolate hazelnut spread and bananas. I mean, obviously. If you haven't tried that combination yet, you truly are missing out. Usually I reach for my jar of Nutella, but I recently received some free samples of Nocciolata, Italy's organic chocolate/hazelnut spread, that I've been itching to try out. Nocciolata is crafted using carefully selected ingredients such as dark chocolate from the Antillean Islands, Italian hazelnuts, brown sugar, skim milk and Bourbon vanilla extract. Plus it's very reasonably priced! So I decided to go ahead and use this spread in my crepes. This deliciously smooth spread is gluten-free, kosher and has no palm oil, hydrogenated fat, artificial flavors or artificial colors. 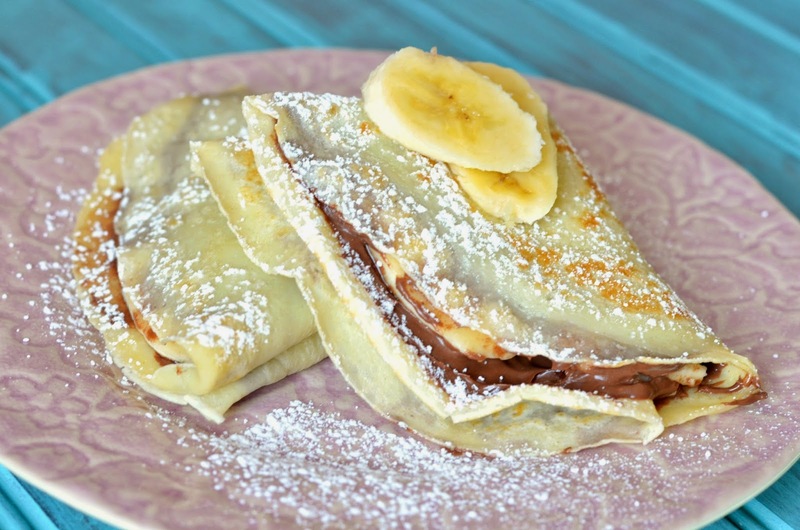 It was delicious in these crepes and definitely compares to Nutella! 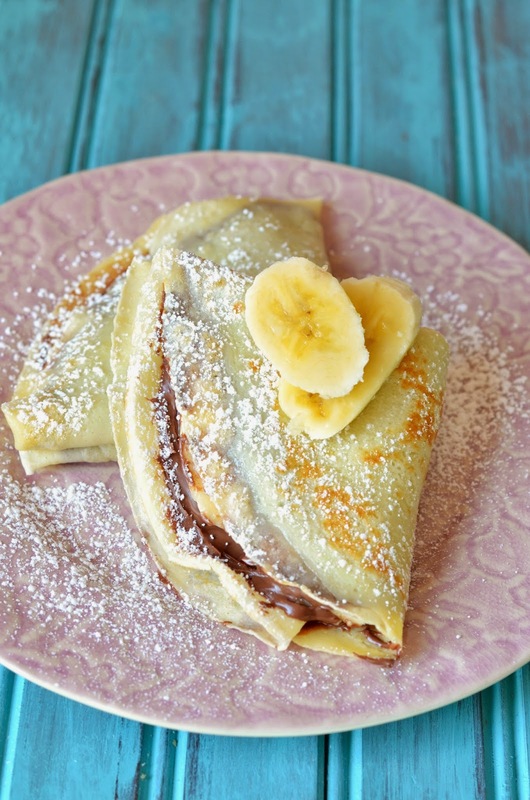 This spread is delightful in these crepes, but would also be great on a sandwich, on crackers or French bread, with fruit such as bananas or strawberries, or simply on a spoon! Next time you're looking for chocolate hazelnut spread, give Nocciolata a try! To assemble, spoon 1/4 cup of the chocolate hazelnut spread over each crepe. 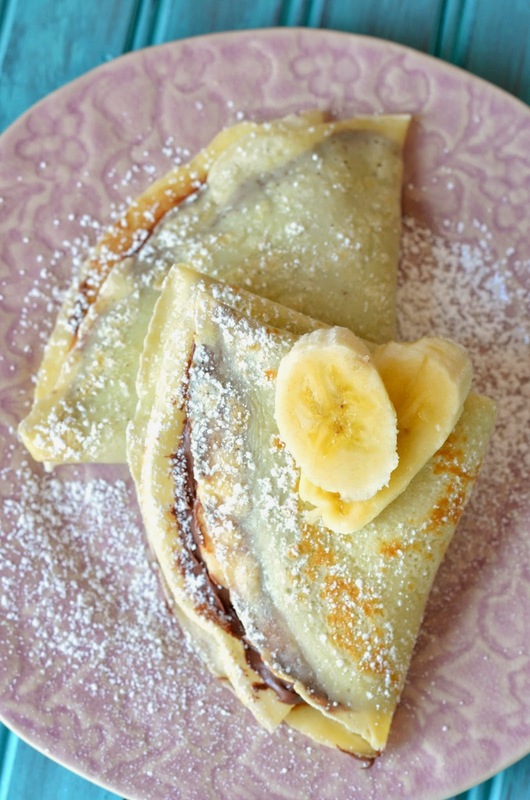 Place 1/4 of the sliced bananas on one half of the crepe. Fold the crepe in half and then in quarters. Top with powdered sugar and/or whipped cream.